You know you are going to be covering some distance at CDW so why not ease into it with a bike ride? 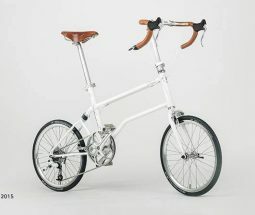 Even better, do so on a Vello high performace folding bike as part of an hour tour which starts and finishes at Icon House of Culture between 11am and 3pm. Get up close and personal with the renowned fashion designer Pam Hogg who boasts clients like Lady Gaga and Rihanna. Milliken are hosting Pam on Tuesday 24th May at 6:30pm, register and come along to learn about her work and inspiration followed by a Q&A session. With all that walking and talking you are going to need refuelling. If you want a Red Bull F1 style pitstop you cannot go past Pixxa, in our opinion the best pizza in London. Located down the end of St Johns Street just near Smithfield Market there are plenty of options for the carnivores, the veggie heads and the vegans along with cold drinks and ridiculously good desserts. The handmade tiramisu is dreamy. Need an actual break? Granger & Co. is the place. Looking over Clerkenwell Green it is big, airy, the staff are top notch and the food is divine. The cherry on top is the plethora of power points dotted around the perimeter. If you are are like me and shudder slightly when you walk past someone and smell your signature scent on them, realise that it's not actually yours at all then you will love this. Sarah McCartey, the curator of 4160 Tuesdays specialises in creating scents that are inspired by a person or place special to you. at 12:30pm on the 25th and 26th she will be holding workshops where you get to create a scent that is actually yours. So much incredible and inspiring design, so many people, so many parties, so many blisters, but let's go out with a bang. This year, Benjamin Hubert of Layer Design is hosting a closing party at Clerkenwell London which will celebrate the launch of GO, a made-to-meaure, 3D-printed wheelchair. If you can get your hands on a ticket you can expect live DJ's and food and drinks a plenty. Wherever you end up, we hope to bump into you along the way...see you there!